Summer is here and there is loads going on with lots of live music and sports events – like Glastonbury, Wimbledon and the Ashes. Make sure you don’t miss a thing in your car with digital radio. You can get all your favourite stations plus extra digital-only stations with extra music and content. 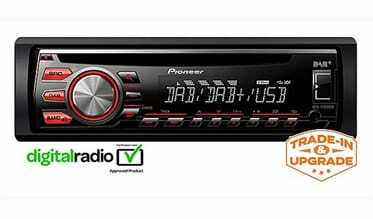 You can now get a Summertime saving of 20% off digital radio for your car with Halfords or The Just Brand. For more information please go to the Halfords website here or The Just the Brand website here. And remember any car can be converted to have digital radio. Click here to listen to our new summer campaign, voiced by Suzi Perry, which highlights the benefits of digital radio.